(On TV, July 2018) Cary Grant, Alfred Hitchcock, Grace Kelly and the French Riviera—what more could you ask from To Catch a Thief? Hitchcock here lets go of relentless suspense in order to favour a breezy romantic comedy involving jewels thefts and a former master burglar trying to clear his name. Grant is effortlessly charming as the retired cat-burglar and he sets the mood for the rest of the film. Kelly is blander than expected, although it’s amusing to see her strut around the Riviera given her later position as the Princess of Monaco. John Williams (who always looks like John Cleese to me) also gets a good supporting role as an insurance man helping out the protagonist. 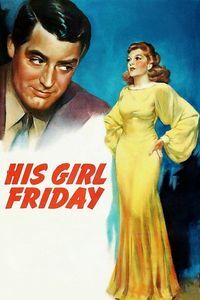 Set against the sunny seaside scenery, this is a bit of a departure of Hitchcock, who doesn’t really try for suspense (even when the film could have called for it, such as the final sequence) as much as romantic banter and gentle crime. The atmosphere is well executed and the result is good sunny fun. 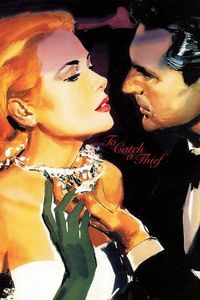 To modern audiences, To Catch a Thief does have a bit of awkward fifties-style staging—most notably in the nighttime villa burglary sequence, not to mention the quasi-omnipresent rear-screen projection. But, as with the unnatural colours and high-class characters, this is part of the package: watch the film, travel back in time. (On DVD, June 2018) The great things about digging deeper and deeper in a hobby is that the digging eventually produces its own rewards. In my case, I’ve been watching older and older movies, and discovering new favourite actors. To have The Philadelphia Story pop up on my pile of films to watch at this point is a gift: A movie starring Katharine Hepburn and James Stewart and Cary Grant? What have I done to get such a treat? Even better: it’s a screwball comedy, fast establishing itself as one of my favourite bygone genres. I was primed for a good time and got exactly what I wanted: A fast, witty, fun romantic comedy featuring Hepburn at her most alluring, Stewart as his usual sympathetic self and Grant in a plum comic role. The script provides witty lines, great characters and a savvy understanding of the mechanics of the genre, while director George Cukor keeps things moving even as the film multiplies small subplots on the way to a satisfying conclusion. Among supporting players, Ruth Hussey is surprisingly fun as a no-nonsense photographer, while Virginia Weidler is a discovery as a sassy young sister. Still, this is a picture that belongs to Hepburn, perfectly cast as a woman struggling with goddess-hood. Both Stewart and Grant also play to their strengths, helping to make The Philadelphia Story a definitive statement about three screen legends. It still plays exceptionally well today. 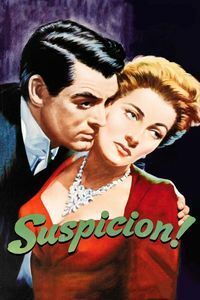 (On Cable TV, May 2018) Great casting can make or break a movie, but I’m still not too sure what it does to Alfred Hitchcock’s Suspicion. Casting Cary Grant as a suave, sophisticated, easily charming man who ends up hiding an inglorious past to his wife seems like a slam-dunk: By that point in his career, Grant had developed a screen persona ideally suited to this kind of role. But the sword cuts both ways, given how audiences weren’t (and still aren’t) so willing to accept Grant as a purely evil character. Hence the ending that explains a few things and allows viewers to walk away satisfied and reassured in Grant’s persona. It’s a relief of an ending, but is it the most appropriate one? I still don’t know. The novel on which the film is based took a far more ambiguous approach to the same material, keeping up the eponymous suspicion through which the heroine (Joan Fontaine; rather good) comes to regard her new husband. Still, Suspicion remains a joy to watch. Hitchcock had achieved an unusual mastery of balance between comedy and suspense at that stage of his career, and the film’s domestic-paranoia theme would dovetail with a number of similar thrillers throughout the 1940s. The lack of a dark ending may stop the film from reaching its ultimate potential, but I’m not sure I’d change it. After all, I do like my Cary Grant suave, debonair and (ultimately) on the side of the angels even if he’s been a little devil along the way. (On Cable TV, May 2018) Considering that The Awful Truth is the movie that created Cary Grant’s comic persona, we should be grateful for its existence and for director Leo McCarey’s instincts in guiding Grant toward his vision of the role. This is a late-thirties screwball comedy that practically exemplifies the sophisticated and urbane “Comedy of remarriage” so characteristic to the years following the introduction of the Hays Code: Here we’ve got Grand and co-star Irene Dunne as an unhappily married couple that decides to divorce, then sabotage each other’s new affairs before realizing that they are each other’s best partners. (Try not to think too much about the liberties allowed to only the very rich people in the 1930s.) It’s decently funny—maybe not as much as other later efforts from Grant, but still amusing, and Dunne has good timing as well. (Plus Skippy the dog!) Divorce has rarely been so much fun. The comedy isn’t just about the lines, but the physical performances of the actors and their interactions—read up on the improvisational making-of imposed by McCarey to learn more about how the picture was shaped by on-set ideas and follow-up. 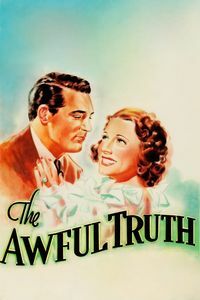 If I didn’t already know how much I love screwball comedy, The Awful Truth would have taught me. 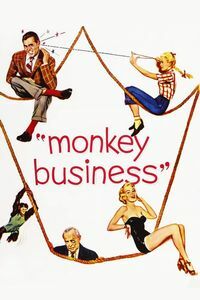 (In French, On Cable TV, May 2018) It’s easy to see why Monkey Business is often considered to be a loose follow-up to Bringing up Baby—Howard Hawks is back with a fast-paced comedy, Cary Grant reprises his silly intellectual mode, Ginger Rogers steps in as the wilder female partner and the film is at its best when it’s just goofing around. Thanks to a high-concept premise (what if a serum gave you back your youth … or at least made you regress back in age mentally? ), there are plenty of opportunities for random silliness. The film never gets better than seeing Day play at being a bratty schoolgirl, although seeing Marilyn Monroe vamp it up as a voluptuous secretary is also fun. While it’s technically a science-fiction film, Monkey Business is best seen as a farce reteaming Hawks and Grant together and just having fun along the way. (This being said, the film’s best laugh comes early on in the opening credits sequence, as the director tells Grant “not yet” and to go back behind the door before making an entrance. Alas, the film doesn’t go back to metatextual comedy.) It’s really not quite up to Bringing up Baby’s standards—the film is occasionally annoying (the monkey), occasionally dull (anything with the scientists), occasionally offensive to modern sensibilities (never mind “the secretary”; I have in mind the “Indian scalping” schoolyard playing.) It’s still not a bad time thanks to the aforementioned goofing off, but it could have been better. (On Cable TV, March 2018) It does take a while before Charade comes into focus. It begins strangely, with a contrived meet-cute at a ski resort in the Alps that turns into an even stranger succession of events once the heroine comes back to Paris to find out that her husband has died, a large amount of money is missing, and three strangers really hated her ex-husband. The artificiality of the setup is almost overpowering, and even the comforting presences of Audrey Hepburn as the widow and Cary Grant as a mysterious free agent aren’t quite enough to unpack the heavy-handed setup. But as the deaths and double-crosses being to pile up, Charade does acquire a nice velocity, and even answers the questions raised in the first act. Hepburn is adorable as the endangered heroine, despite being too young for the role. Meanwhile, Grant is terrific as someone who may or may not be friendly—he’s occasionally very funny (ha, that shower scene! ), and his last grimace of self-revelation at the very end is like seeing a split-second callback to the classic comedies early in his career. Also noteworthy as supporting roles for Walter Matthau, George Kennedy and James Coburn. Great scores and visual design by Henry Mancini and Saul Bass round up an impressive crew. 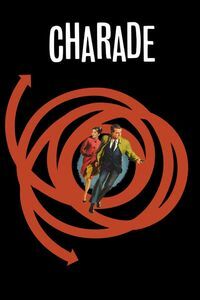 Surprisingly not directed by Alfred Hitchcock, Charade is increasingly endearing the longer it goes on, and satisfyingly blends romance, comedy and suspense. It’s well worth watching. Just make sure to give it more than thirty minutes to make sense. (On Cable TV, January 2018) All right. This is it. I am a contended cinephile. When I embarked on a conscious program to watch older movies, I did so supposing that sooner or later, I’d watch a movie that I’d fall in love with. While I’ve been really happy to revisit some old favourites and see them hold up (2001: A Space Odyssey, for instance), or to confirm that some beloved classics are beloved for a reason (Singin’ in the Rain, anyone? 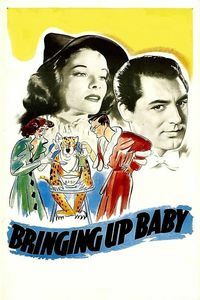 ), I started watching Bringing up Baby without any expectations other than crossing off a popular title from 1938. Within minutes (specifically the torn dress sequence), however, I was squarely identifying with Cary Grant’s proto-nerd protagonist, falling in love with Katherine Hepburn’s drop-dead gorgeous romantic interest and gasping at the speed and precision of director Howard Hawks’ movie. To put it simply: Bringing Up Baby is as funny, witty and fast as any contemporary romantic comedy, and the 1938 year of release is irrelevant. The plot is a big ball of nonsense that has something to do with a paleontologist, an heiress and a tame leopard. But never mind the plot, as the real strength of the film is in its witty fast-paced dialogue. Hepburn is an instant favourite as a character too crazy to be true … but the entire film is like that, and it plays beautifully even eighty years (!) later. Those who complain that “old” movies are dull and slow clearly haven’t seen Bringing up Baby. It’s raucously funny even today—while contemporary comedic theory holds that chicken and monkeys are the funniest animals, the film makes a strong case that leopards may be a comic engine of their own, as several of the film’s funniest sequences hinge on the eponymous “Baby.” (To be fair, one scene also involves chicken. Being eaten by the leopard.) Considering that the film is often upheld as a representative example of screwball comedies, I have a feeling that I’ve just discovered an untapped vein of pure cinematic bliss. At the pace at which I see movies, I often see them and move on, never to re-watch again. In Bringing up Baby’s case, however, I ended up ordering it on DVD (along with three other similar Hepburn comedies) within days of seeing it. I have a feeling I’ll be extolling its virtues and often lending the DVD in the next few years.